Convenient parking for the Art Institute of Chicago is available at nearby Parking.com locations. Click on the map shown for parking information such as rates and hours of operation, or simply click the 'RESERVE' button to pre-purchase guaranteed parking. The Art Institute of Chicago was founded in 1879 as a museum and school for the fine arts. Its first collections consisted primarily of plaster casts, but has grown since then into approximately 300,000 works of art in its permanent collection. 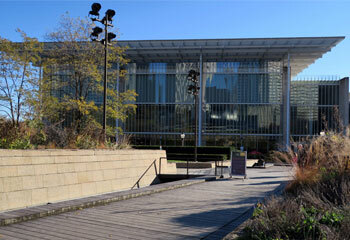 The collection is housed in eight buildings (nearly one million square feet) at Chicago's Millennium Park. The museum hosts approximately 30 special exhibitions each year and features one of the finest research libraries for art and architecture in the country.